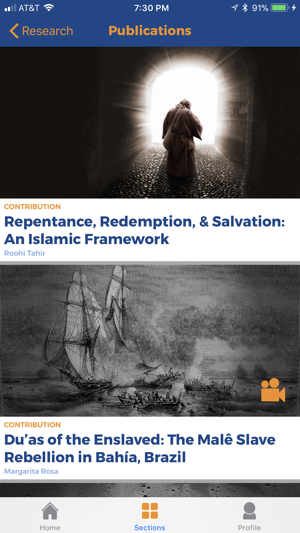 The Yaqeen Institute for Islamic Research iOS application includes access to research papers written by experts in their field as well as related multi-media content. 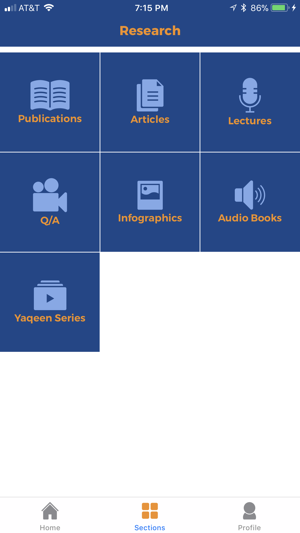 All content available on Yaqeen's website will eventually be available on the iOS application. 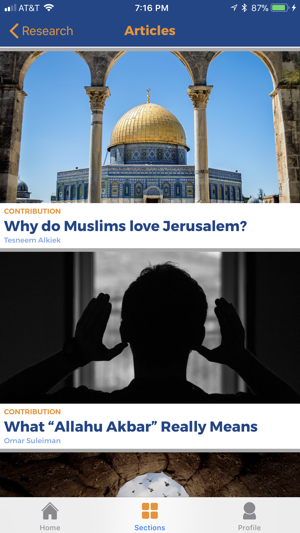 At Yaqeen, we believe that re-kindling the Islamic tradition of spreading knowledge is the best form of tackling misconceptions against our community and raising conviction in our hearts. 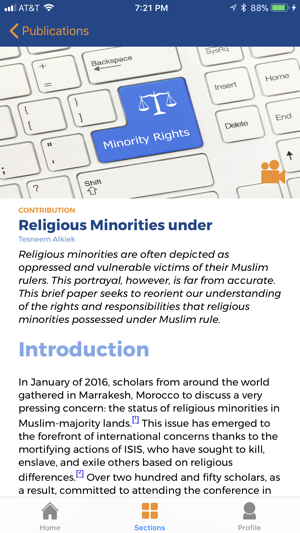 Yaqeen Institute is a non-profit research initiative that will always keep its content free and accessible to all. Our previous release broke the push notification opening the new post after user action. This version fixes that. 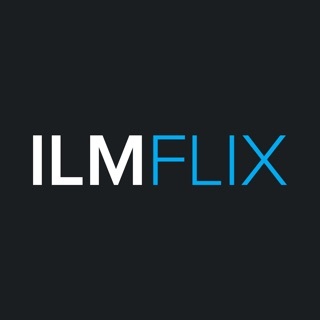 This app is very easy to use, even better than the Website. I recommend everyone to use it. 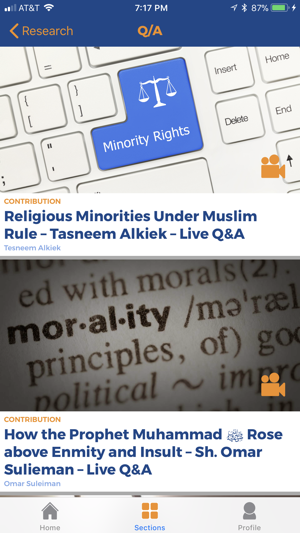 An amazing app and very beneficial for everyone.